Roses are very symbolic flowers and we know them as queens of flowers. They are in nature in different colors and all of them are very beautiful. Besides their elegance and beauty, people from all around the world believe that each breed of rose has it’s own history, mystery and meaning. Today we are going to show you – how to Crochet Pretty Roses. 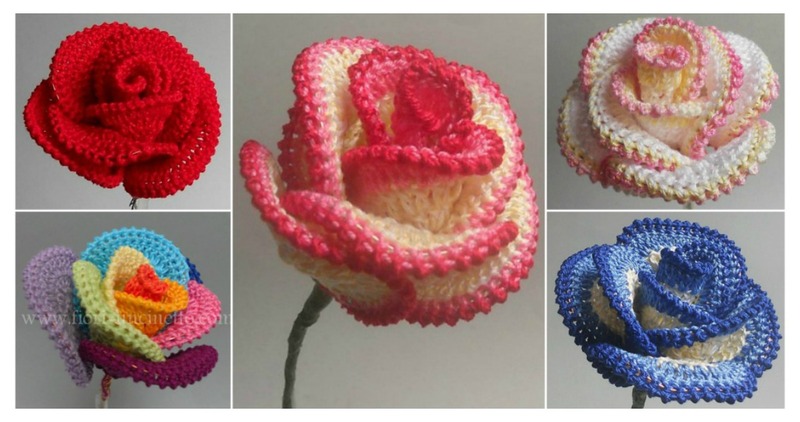 It would definitely be a wonderful crocheting project if you love roses and hobby is crocheting. Crochet Pretty Roses will be also great gift for every woman on birthday. Crocheted roses also will be great for your room design, because it will be tough to find more beautiful decor. The following are two great video tutorials where you can learn how to crochet pretty roses that you can see on this collage. 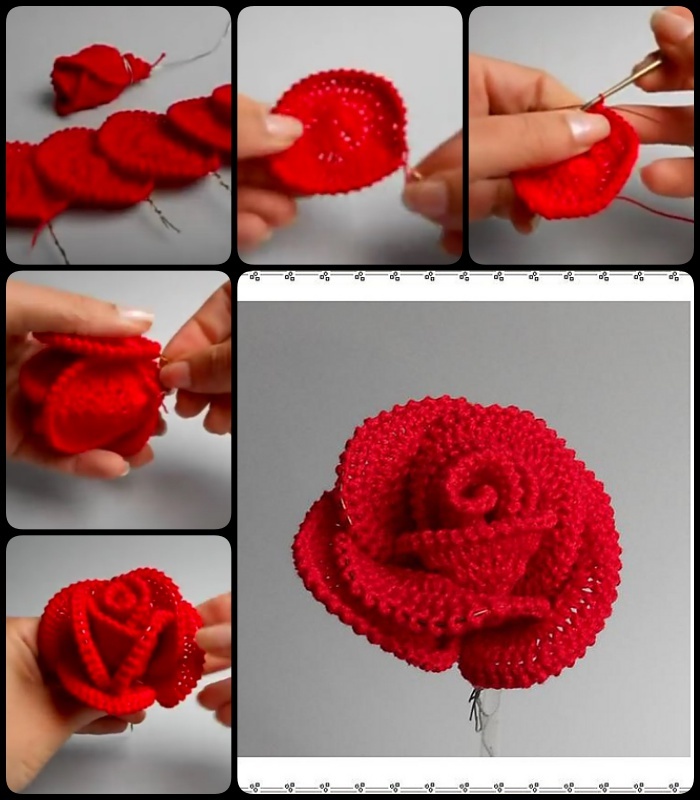 Hope you will enjoy the process of crocheting these roses and also the final products because the videos have very detailed explanation that you need to know to crochet these beautiful roses. Note: the first one is a paid pattern, but the second one is a free pattern.